Dr. Fader believes Motivational Interviewing trainings and workshops must be both fun and experiential for participants to gain the most value and learn the most about Motivational Interviewing. Even a brief talk on MI with Dr. Fader is highly interactive and entertaining. In addition to structured group exercises, Dr. Fader shares humorous and informative anecdotes from his 20 years of experience as a psychologist and Motivational Interviewing trainer. Dr. Fader customizes MI training programs for each group he works with for onsite training. In addition, he regularly hosts training workshops at his office in New York City. Below are examples of training structures of various lengths. In this focused introduction to Motivational Interviewing, Dr. Fader will guide participants in informative journey through the theories and spirit of MI. Participants will learn about the use of the Motivational Interviewing OARS skills (Open-Ended Questions, Affirmations, Reflective Statements and Summaries). Depending on the groups’ focus, the trainer will lead participants in a discussion of the application of MI to addictions, diet and exercise, medication adherence, sports, corrections and law enforcement and other health and mental health behaviors. 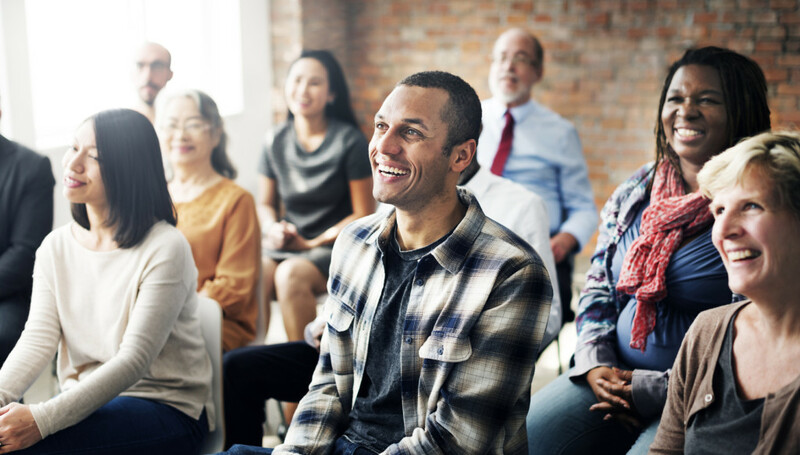 This Motivational Interviewing training is designed as a primer for professionals/professionals-in-training who are looking for an initial workshop in Motivational Interviewing. 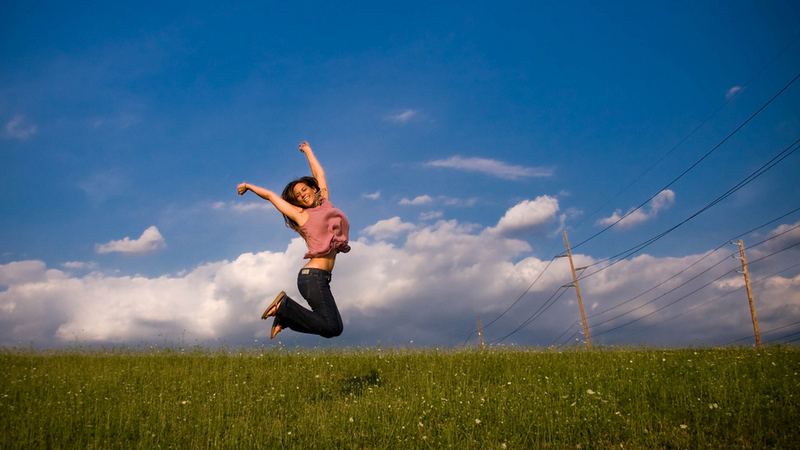 People whose work involves helping clients achieve behavior change (i.e. Psychologists, Social Workers, Psychiatrists, Physicians, Nurses, Case Workers, Outreach Workers, Dietitians, Therapists, Coaches, Clergy, Personal trainers, Probation/Parole Officers, etc.) will benefit most from this MI training. During the MI training we introduce the theory and principles of MI. Through the use of presentations, exercises, videos and demonstrations, the trainer will guide participants in learning the technique, theories, style and spirit of MI. Participants will learn how to use the Motivational Interviewing OARS skills Open-Ended Questions, Affirmations, Reflective Statements and Summaries). Depending on the groups’ focus, the trainer will lead participants in a discussion of the application of MI to addictions, diet and exercise, medication adherence, and other health and mental health behaviors. This Motivational Interviewing training is designed as an opportunity for professionals/professionals-in-training who have had no prior or some exposure to Motivational Interviewing techniques. This intensive training allows participants to gain more in depth experience and practice in their MI skills. As above, those whose work involves helping clients achieve behavior change ( i.e. Psychologists, Social Workers, Psychiatrists, Physicians, Nurses, Case Workers, Outreach Workers, Dietitians, Therapists, Coaches, Clergy, Personal trainers, Probation/Parole Officers etc.) will benefit from this intensive MI training. 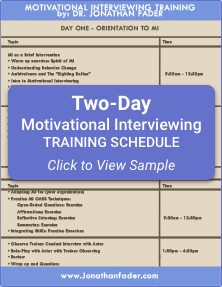 All participants in the Two-Day Motivational Interviewing seminars will have ample opportunity to practice their Motivational Interviewing skills with the support of the trainer using "role-play" and "real play", a MI teaching method where participants learn through experience with direct support of the trainer. In addition, in a two-day training, Dr. Fader collaborates with a standardized client/patient (an actor trained to play a client who will give participants feedback on their MI technique during the practice interviews). Participants will learn how to use the Motivational Interviewing OARS skills (Open-Ended Questions, Affirmations, Reflective Statements and Summaries). Depending on the groups’ focus, the trainer will lead participants in a discussion of the application of MI to addictions, diet and exercise, medication adherence, and other health and mental health behaviors. In addition, participants will get direct feedback and coaching from Dr. Fader and the standardized client/patient (actor) to further develop their skills.